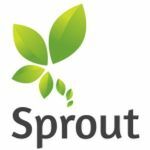 About: Sprout Advisers is a leading Investment consultant agency in Lehi, Utah; helping people to take control of their future with the best investment management and financial planning service. We offer Self Directed IRA services that will allow individuals to plan their retirement savings and other investments methods for better and less financial risk decisions in life. As a Registered Investment Advisor’s firm and team, our focus is to provide our clients with a comprehensive investment management program to help build and protect our customer’s wealth.